In 1973, Mr. William G. Hatcher, SR. founded Management Analysis and Utilization, Inc. (now known as MAU Workforce Solutions) in his garage. That humble beginning has now become the company’s foundation and oldest branch - Augusta Industrial. The Augusta Industrial division is one of the many teams that operates under MAU's headquarters. Augusta Industrial works with several top-tier manufacturing companies in the CSRA, including Kimberly-Clark, John Deere, Textron (E-Z-GO) and many more. We would like to highlight the outstanding men and women that work to make the Augusta Industrial team so amazing. 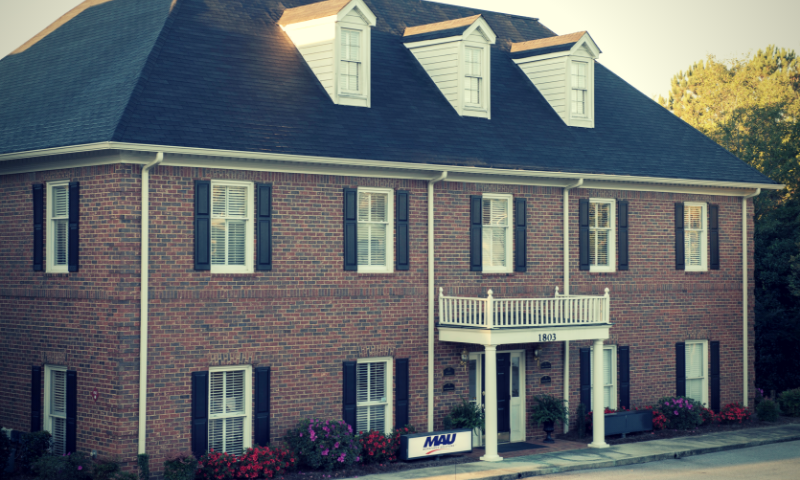 MAU Augusta Industrial is located in MAU's headquarters at 501 Greene Street in downtown Augusta, GA. 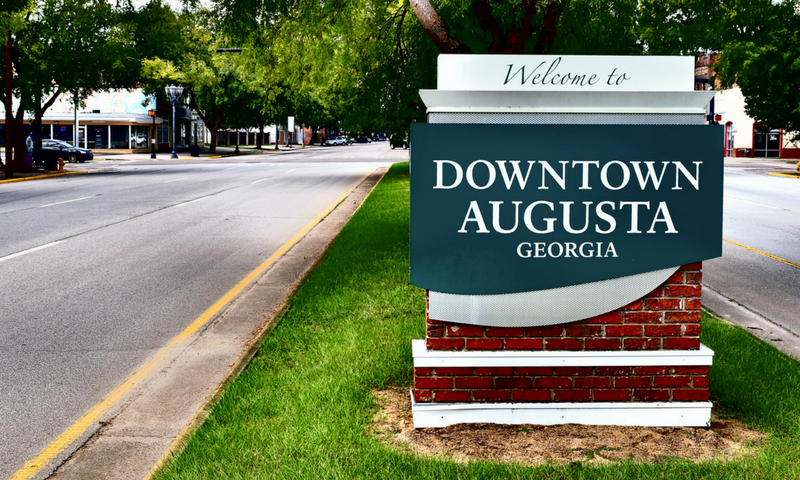 The location is in downtown Augusta, making it easily accessible to both clients and applicants. 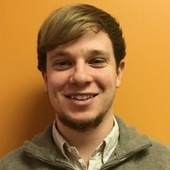 Since starting in 2018, Drew has successfully led the Augusta Industrial team! He loves helping his team members succeed and assisting them with whatever they need - whether it’s a little Monday morning motivation or coming up with solutions for different problems that they may face. Drew's favority MAU memories are centered around coming up with creative solutions for the different challenges that his team faces. Drew enjoys being downtown for work. He appreciates how it’s in the middle of everything and so diverse. He also loves how conveniently located it is because it is close enough for him to be able to walk to work! Fun Fact: Before coming to MAU, Drew lived in Malaysia for 2 months where he helped lead missions trips for groups of college students. Shikia has been with MAU since 2011 when she started as a Clerk. She loves being able to help people and make them happy as she works to help candidates find the right job. Thebest of part of the Augusta Industrial branch location is that it is stationed within the corporate headquarters. This way if anything comes up she knows any kind of help, whether financial, technological or otherwise, is only steps away. Her favorite memory was of her first MAU Annual Celebration. She was just starting with the company, and she loved being able to see everyone smiling, dancing and having a good time. Fun Fact: Shikia is the mother of four beautiful children - including two that are 10 months apart in age! 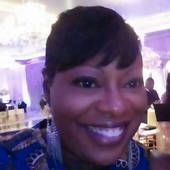 Before joining the team as a Staffing Specialist, Tish started with MAU in 2016 as aReceptionist. 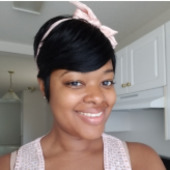 Now in her role as a Staffing Specialist, she loves giving candidates the opportunity to make a change in their life by providing gainful employment. She thinks she has a great team of co-workers that work well together. Her favorite memory of MAU has been the MAU Annual Celebration. She loves getting together and having a good time with her co-workers outside of work. Fun Fact: Tish is the "go-to" person both at home and at work. She loves hosting all the family dinners and pulling everyone together. 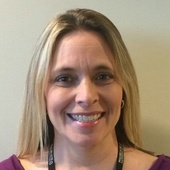 Kristie has been with MAU since 2014. She started upstairs as an HR Admin/Generalist. Since joining the Augusta Industrial team, Kristie feels that the best part ofher job is being able to change lives. She feels like she can really make a difference and give her applicants a new start in life. She loves working in Augusta Industrial because that’s where all the action is! She has watched the team continue to grow and has personally contributed to the company growth. 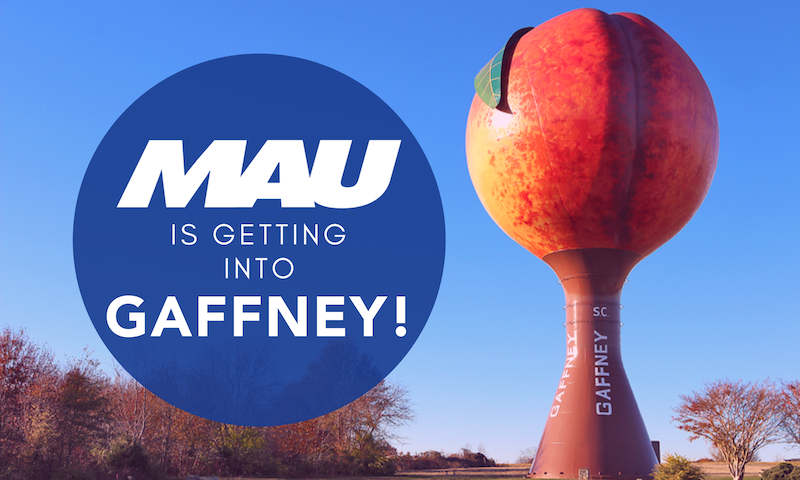 When MAU was expanding to Ogden, Utah, Kristie was on the team that traveled to Ogden to help train the new MAU Family members. That trip is even part of her favorite MAU memory! She explained that during the trip the team decided to go to dinner in the downtown Ogden area, which has limited parking. So the team climbed into a van and while driving around they found a vacant spot going in the opposite direction. The team member that was driving hurriedly drove around and parked the van perfectly between the lines. Due to that team member’s superior parking/driving skills, he was named the designated driver for the rest of the trip! Fun Fact: Kristie LOVES roller coasters! Her favorite ride at Six Flags over GA is the Superman, and her favorite at Carowinds is the Night Hawk! Karen has been with MAU the longest on this team. She has called MAU her family for over 24 years. She started as a Payroll Specialist on a temporary assignment. 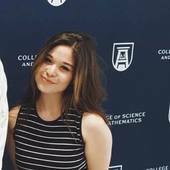 MAU welcomed her long term after the assignment was up, and she has never left. 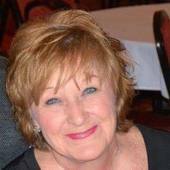 Karen remained with the finance team for 19 years. Karen was a part of a project that required her to travel to Greenville and conduct interviews for a number of days. It was during this time that she found where she was meant to be. So when the position opened up, she took the opportunity to move to Augusta Industrial and became a Staffing Specialist. She loves seeing people so thrilled to get their foot in the door and start a career that can change their life. Her favorite memories at MAU have been of all the care that the company and everyone within the company showed her during some of her hardest times. When her husband was sick with cancer, MAU helped them have a small weekend getaway. Later, Karen and her husband took a trip to see their son in Arizona, and when they went to check out, they found that part of their bill had picked up by the company. Karen says that with MAU, you’re not just a person at a desk. You’re really family and everyone is always there for her. She also loves that she gets to spend time with her co-workers outside of work. Fun Fact: Karen loves New Smyrna Beach! She visits the area multiple times a year. MAU welcomed Kayla as family in 2011. 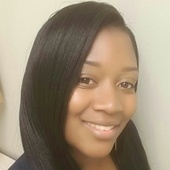 She started her time with MAU as a Clerk for the Augusta Office Services branch before she transitioned to the StaffingSpecialist position in Augusta Industrial. She loves the easy access to the different foods that she can enjoy while she spends time with her amazing co-workers. 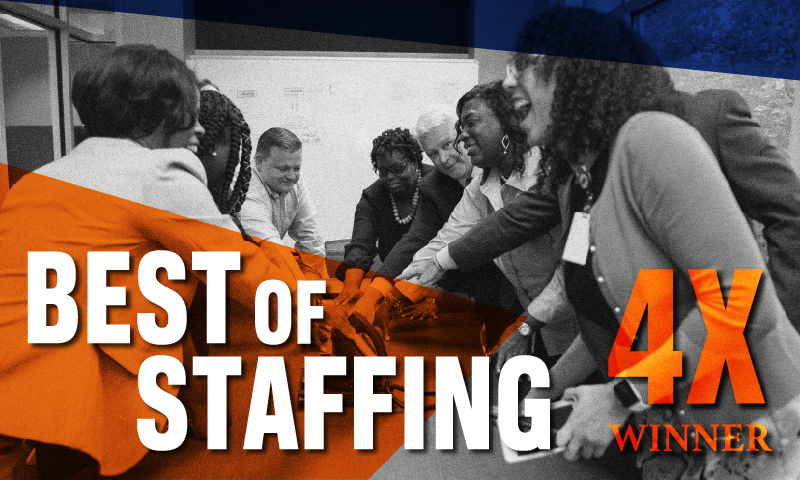 She says her co-workers really make working at MAU special, but when she gets to help place someone in a position that is genuinely thankful for the job, that is what makes it all worth it. Fun Fact: Kayla was her High School Prom Queen. She loves that she helped break stereotypes! 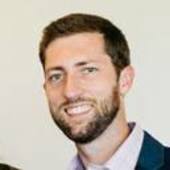 Danny has been with MAU as a Staffing Specialist since 2015. His favorite part of working at MAU has been how well his team gets along. He says it’s fun to come to work when he’s working with such good people. He really enjoys the downtown location of the branch. The centralized location makes it really easy for the team to get to clients. Danny was also on the team that helped MAU get the Ogden, UT location started. He said the experience is one that he will never forget. He worked with Kristie to train the staffing team for the branch and helped to bring people from the community into the newly minted branch. Fun Fact: Danny played tennis in High School and went undefeated in State his last 3 years in the playoffs. His team finally won the State Championship his Junior year. Linda started with MAU in 2017 as a Marketing Assistant. Like Karen, Linda found her true calling during a BMW ramp up and fell in love with helping people. Since then she has been making lives better by helping people find the right job for them as a Job Placement Specialist. 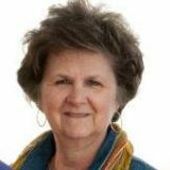 Linda enjoys being in nature and loves that the Augusta Industrial location is surrounded by areas that allow for her to spend quality time outside with her husband and dogs. Her favorite MAU memory was from her first Thanksgiving with the company when the President, Randall Hatcher, asked who was traveling the farthest to spend time with family for the holidays. While many of her co-workers were spouting off different states, Linda stated that she would be flying to see her family in Guatemala. Mr. Hatcher handed her $20. She holds onto that same $20 bill as a good luck charm to this day. Fun Fact: At the age of 22, Linda visited New York City and fell in love. She later moved from her family home in Guatemala and lived in the city alone for four years. Neeka is one of the newest members of the MAU Augusta Industrial Family. Neeka says the best part of her job has been the people. She loves her co-workers and how she could just tell from the start that this was a very family-oriented, Christian company. She enjoys the calming atmosphere that her co-workers bring despite how busy they may be. Her favorite memory has been working with the team on the John Deere valve assessments. She loves getting to meet so many different people in her day-to-day interactions at work. Fun Fact: Neeka is a prankster. She and Danny are currently in the middle of a prank war that she refuses to lose! 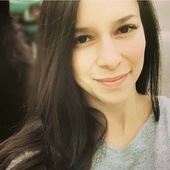 Amy joined the team with Neeka Cummings in late 2018. She says she loves how nice the atmosphere is with her team. After spending a few years withStarbucks, joining the Augusta Industrial team has brought her a change of perspective as she works very closely with her team members to do different tasks. She is enjoying the chance to learn and gain experience. Her favorite MAU memory was when everyone was gathered together and she was able to make everyone laugh. She loves seeing everyone so happy. She’s really enjoyed being able to use her Psychology degree in her work. As a Clerk, she gets to help with assessments and testing. Now she’s finally getting to see the connection between people and their work, and that is priceless for her. She loves pairing the right person with the right job. Fun Fact: Amy's favorite color is orange. Its brightness matches her bright and bubbly personality. 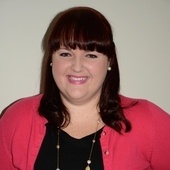 MAU welcomed Katie in 2017 into the Clerk position. She loves how awesome her co-workers are and how centralized the location is to everything in the area. Katie has loved being able to spend time with all of her MAU family members at the Annual Celebration because she has been able to meet so many new people and interact with the other branches and divisions within MAU. She loves how MAU does so much community outreach as part of the mission to make lives better. She feels like by being a part of MAU she is helping to contribute to the greater good. Fun Fact: She has a 3 year-old Cocker Spaniel named Bucky that is her baby boy. 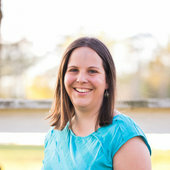 Becky has been with MAU since 2018. As the Receptionist, she has had the opportunity to meet many of the applicants as they come in to apply and take their assessments. She loves her coworkers! Her favorite MAU memories center around being with her co-workers as they celebrate birthdays together! She was surprised and blessed when her co-workers came together to celebrate her birthday with carrot cake! Fun Fact: She picked up biking as a child, and that is something that she has kept up with into adulthood. When she isn’t working, she loves meeting up with friends to ride her bike at the Augusta Canal. The Augusta GreenJackets is the local minor league baseball team that is the Low A affiliates of the San Francisco Giants. The team recently relocated to their new home at SRP Park in North Augusta, South Carolina. SRP Park was named the 2018 Ballpark of the Year by Ballpark Digest. 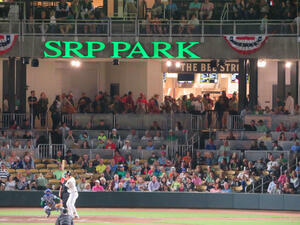 Along with hosting all of their games, SRP Park boasts of concerts and firework displays. 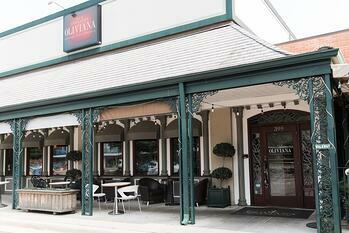 Oliviana's is a favorite restaurant for the Augusta Industrial team and can be found in Surrey Center in Augusta. The Italian inspired restaurant proudly brings scratch-made pizzas, bread, strombolis, pastas, fresh fish/shrimp/mussels, tomato bisque and more to the table. The owner describes it as an, "elevated, yet casual dining experience" that is "tasteful, relaxing and fun" without being overpriced. If being active and spending time outdoors is more your style, the Augusta Industrial team suggests the Augusta Canal. With hiking and biking trails right next to canal, you would never know you were right next to the busy cityscape. You can even learn about the history of Augusta and the canal on a guided boat tour down the canal. For more information on the Augusta Industrial Branch and to view available job opportunities, please visit https://www.mau.com/augusta-ga. For more information about Augusta and upcoming events, take a look at https://www.visitaugusta.com/.